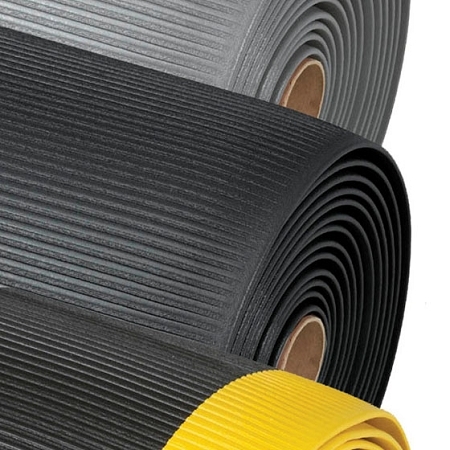 The 406 Razorback with Dyna-Shield floor matting is a strong anti-strain padding engineered from a PVC sponge and a protective top surface that is resistant to mild solvents and provides tracking with its wide channels that run from side to side for proper footing and easy cleaning. 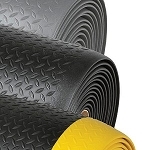 This floor padding is capable of permitting proper blood circulation and reduced muscle and lower back strain for increased workers production and outstanding performance. 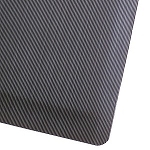 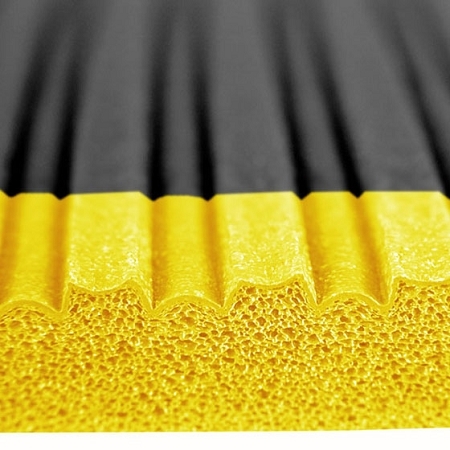 To board onto this floor covering is easy with the slope beveled foam on all four sides preventing tripping hazards. 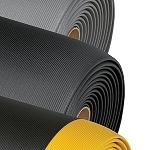 Different sizes and colors are available to meet all your work environment needs.